Stellar Four: I Will Read What I Want, Judgmental Bookseller Ostrich! 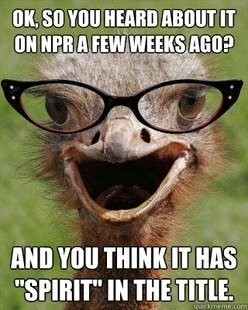 I Will Read What I Want, Judgmental Bookseller Ostrich! 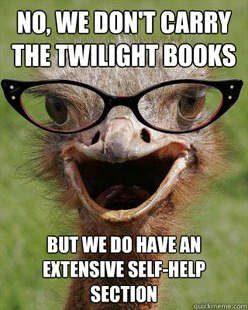 Why, Judgmental Bookseller Ostrich? 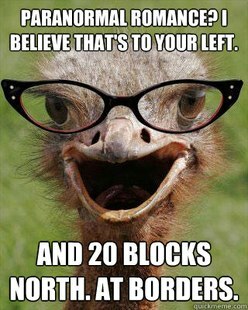 Why are your glasses so cute but your opinions so ugly? Look, there are so many book genres out there. Some people like reading books with spaceships. Some people like reading books about a beautiful couple falling in love. Some people like reading about real folks in autobiographies. 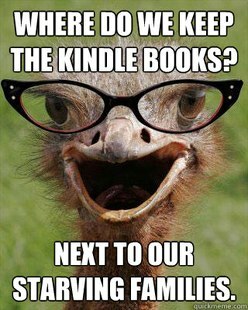 Some people like reading books with dragons and elves and mages. 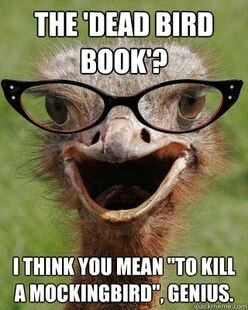 Some people like reading cozy mysteries or post-apocalyptic zombie horror or literary fiction in which one or both of the main characters (and their beloved pet) dies at the end. You might not enjoy reading what I read. I might not want to borrow the book you've just finished. But I truly believe the world would be a brighter, happier, sunshinier place if people didn't get all sniffy about who's reading what and what books are quality and which ones are fodder for mocking. Let's agree that every genre has some books that are well written and some books that aren't. 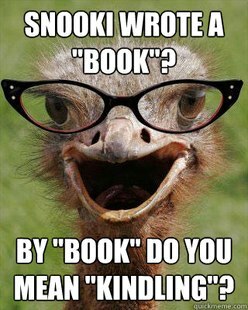 Let's agree that even if it isn't your favorite genre, that doesn't necessarily mean the book I'm reading is unworthy. I love to read. You love to read. Why can't we all love reading without judging each other for what's on the covers of our respective books, whether it's a couple passionately embracing, possibly while on a horse, or a man with a cape and sword, possibly fighting a dragon? Let's agree to love reading and love books without judgment. Well, except for Snooki's book. I think we can all agree that's a travesty. Yes! Exactly! Let me read what I want and suggest what I want without being made to feel inferior. Reading is a rare enough event in some circles anyway, so why not encourage people to read, just read. No. Matter. What. I'm a bookseller and I try soooo hard not to be judgmental and also to immediately nip it in the bud if I notice any of my employees going in that direction. Who cares what people read so long as it makes them happy? We're in the business of uniting people with books that will bring them pleasure, help them, make them think, or challenge them--and none of those responses is inherently better than another. 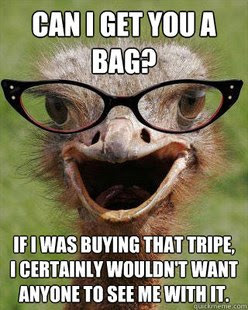 It does go both ways, though, and much as I dislike the idea of being (or employing) a snobby bookseller, I also wish that some customers would be a bit less evangelical about their own taste. It was brutal to control my kneejerk reaction of distaste during the height of Twilight mania: after you've been told forty times in eight hours how amazing the books are and how you must read them they'll CHANGE YOUR LIFE it can get pretty hard to tamp down the automatic recoil. (Sorry to any fans here--I did read the first and the interesting [read: bizarrely gorey] parts of the fourth and they were just not my thing in the least.) It's not pleasant to have anyone's judgment or taste pushed upon you, and while I love hearing what people like, sometimes it's presented in such an offputting manner! 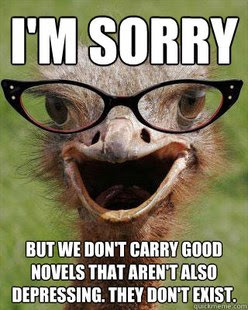 Be nice to your booksellers--enthuse all you want, we like that, but don't brandish books in their faces and shout about how they must read a title even after they've politely stated that it's not what they like! Ah, good point Alice. There's respecting what others like, and there's respecting others' wishes not to read what you like. Suggestions are one thing; raving zealotry is another!